Presented without comment here, except to say if you still want to Crash JP Morgan after reading this, come back to the top and go here and get your first Oz free. The “Crash JP Morgan, Buy Silver ” internet campaign has been gathering momentum for several months now as individual investors increasingly jump upon the rolling bandwagon by buying a silver coins. The high profile proponents of the campaign include Max Keiser, Mike Maloney and Alex Jones amongst many others. Whilst they are correct in identifying JP Morgan as being the worlds largest a market manipulator that continious to leech the life blood out of the US Economy via the corrupt institution that is the U.S. Federal Reserve Bank that literally makes unlimited funds available at JPMorgans disposal. The crash JP Morgan proponents identify JP Morgan as having some $1.5 trillion in derivatives tied to their silver short position alone, as part of an estimated $70 trillion of derivatives exposure, which is larger than the size of the global economy and 5 times the size of the U.S. Economy. If the financial markets ever thought JP Morgan was at any risk of defaulting on any of its derivatives positions then there would be a run on JP Morgan Lehman’s style. Unfortunately to bailout JP Morgan, the cost to prevent a run on the U.S. Financial system that could within hours collapse the whole global financial system would make Novembers QE2 look like chicken feed. The print run would run into the trillions if not the tens of trillions as counter parties to JP Morgan’s derivatives panicked. The JP Morgan stock price is NOT behaving as though it were heading for an imminent collapse, in fact for most of the period JPM has FOLLOWED the Silver Price higher, which is not exactly evidence of market distress. The most recent price action is suggestive of a corrective behaviour to unwind the run from September in advance of a continuation of the trend higher. This to me suggest that the oft quoted JP Morgan silver short position is far smaller than $1.5 trillion, as probably JP Morgan has been covering its silver shorts for many months. In fact the rise over the past 3 months is probably more due to JP Morgan short covering than the impact of the Crash JP Morgan campaign buying. This also suggests that whilst on going short covering should result in an upward trend for silver, however the JPM master market manipulators will also ensure that they periodically hit speculators and hedge funds hard if they try to take advantage of JPM short covering by SELLING silver hard to run the stops. Now don’t get me wrong, I am not anti the campaign as probably in reality it has only had a marginal impact on the silver price, I am just highlighting the consequences of what actually crashing JP Morgan would probably be, in that JPM would take the global financial system down with it. 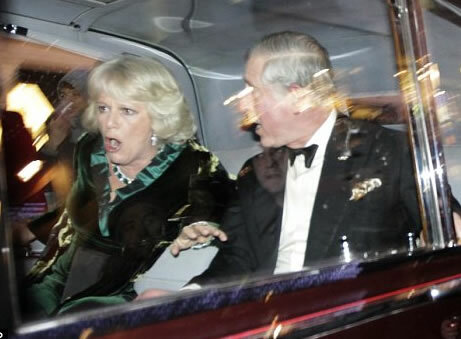 A rampaging mob in central London who call themselves students attacked Charles and Camilla’s car with cry’s of “Off with their heads”. The ‘students’ should consider themselves lucky that they did not get a bullet in the head from the armed police in the car with the couple. Is Google Adwords Censoring “Crash JP Morgan” ?